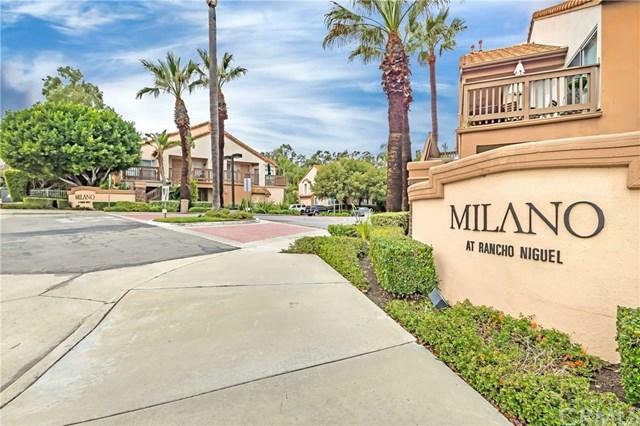 Stunning turnkey condo located in the City of Laguna Niguel. This spacious 1 bedroom 1 bath home has over 644 square feet of serenity. 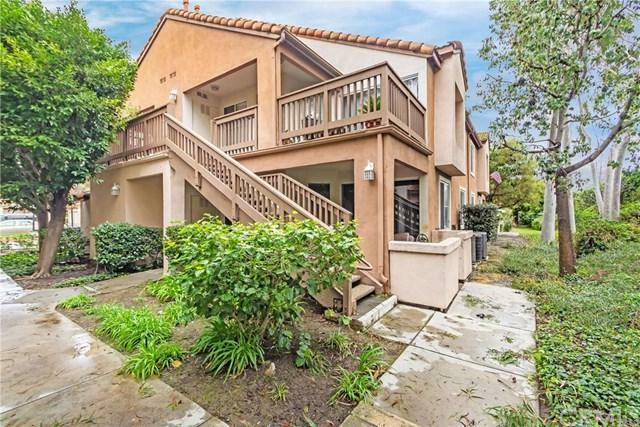 This unit is move in ready & shows like a model with its gourmet kitchen that has quartz counters, custom back splash, stainless steel appliances and lots of storage. The open floor plan with recessed lighting is perfect for entertaining. The balcony located off the living area allows for outdoor living during the warm summer days! The cozy bedroom has a large walk in closet. 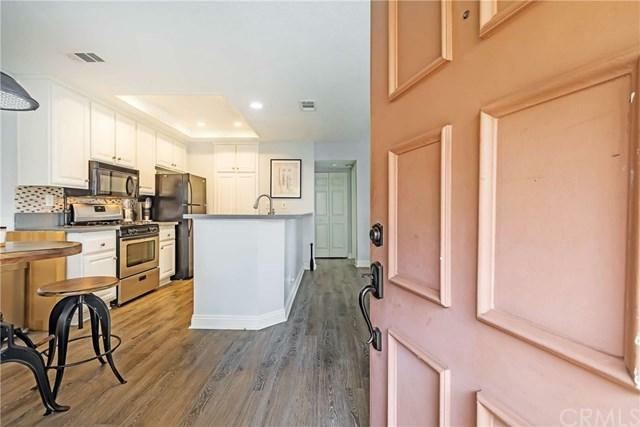 Enjoy the completely upgraded bathroom with its beautiful quartz counter tops, custom tile flooring, and the amazing walk-in shower features custom subway tiles and dual shower heads...Also for your convenience there is a laundry closet that holds a full size washer and dryer! There is also a 1 car detached garage with cabinets for the extra storage! This home is truly a must see to appreciate! © 2019 North Santa Barbara County MLS. All rights reserved. 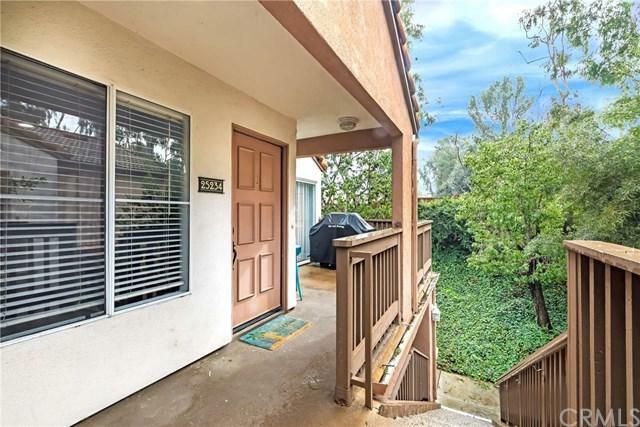 Based on information from the Santa Maria Association of REALTORS® (alternatively, from the Central Coast Regional MLS) as of 2019-04-25T14:29:30.523. All data, including measurements and calculations of area, is obtained from various sources and has not been, and will not be, verified by broker or MLS. All information should be independently reviewed and verified for accuracy. Properties may or may not be listed by the office/agent presenting the information. IDX information is provided exclusively for consumers' personal, non-commercial use and may not be used for any purpose other than to identify prospective properties consumers may be interested in purchasing. Information is deemed reliable but is not guaranteed accurate by the MLS or HEADQUARTERS | Keller Williams Beverly Hills. Based on information from CARETS as of 2019-04-25T14:46:43.567. The information being provided by CARETS is for the visitor's personal, noncommercial use and may not be used for any purpose other than to identify prospective properties visitor may be interested in purchasing. The data contained herein is copyrighted by CARETS, CLAW, CRISNet MLS, i-Tech MLS, PSRMLS and/or VCRDS and is protected by all applicable copyright laws. Any dissemination of this information is in violation of copyright laws and is strictly prohibited. Any property information referenced on this web site comes from the Internet Data Exchange (IDX) program of CARETS. This web site may reference real estate listing(s) held by a brokerage firm other than the broker and/or agent who owns this web site. The accuracy of all information, regardless of source, is deemed reliable but not guaranteed and should be personally verified through personal inspection by and/or with the appropriate professionals.